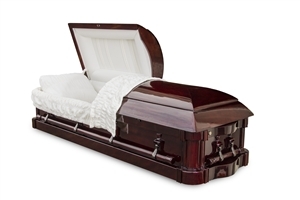 Honor your loved one by choosing a beautiful solid wood casket from Fast Caskets. We have many designs, finishes, and customizable options to ensure you are fully able to find something ideal for your loved one. 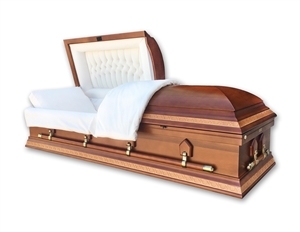 Our solid walnut hardwood caskets are a popular option because of the sophisticated, rich stain of wood and reputable durability of material. All of our caskets are made of solid hardwood without veneer. Walnut caskets are complemented by a high-gloss finish that adds a classy touch. 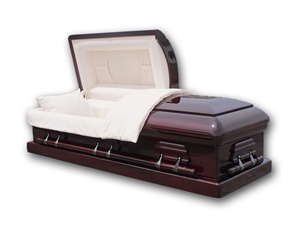 Caskets are available with spindled, rounded, and squared corners. Carefully examine the options to determine what finishes, such as hardware, couch, and mattress are included with each selection to determine what will best suit your needs. Fast Caskets takes pride in offering exceptional customer service 24 hours a day and 7 days a week. We are here for you no matter your circumstances. Contact us today to talk to a knowledgeable representative about our walnut wood casket options or to place an order. Nationwide shipping is available.